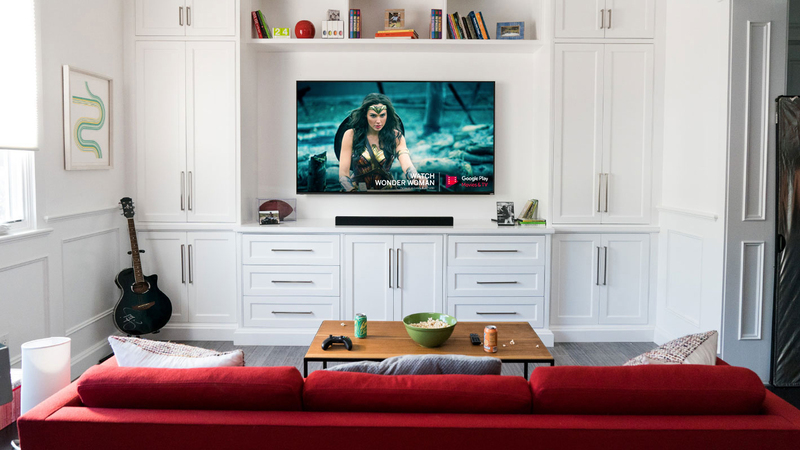 >> Breadcrumb :Home/Audiophile blogs/TechRadar/Best TV 2019: which TV should you buy for big screen action? If you&apos;re feeling confused, our guide to the best TVs available will help you separate bargain-buy panels from the best 4K screens. We&apos;ll help you find an awesome flatscreen without wasting hours of research comparing spec sheets – after all, we&apos;ve done the research already. 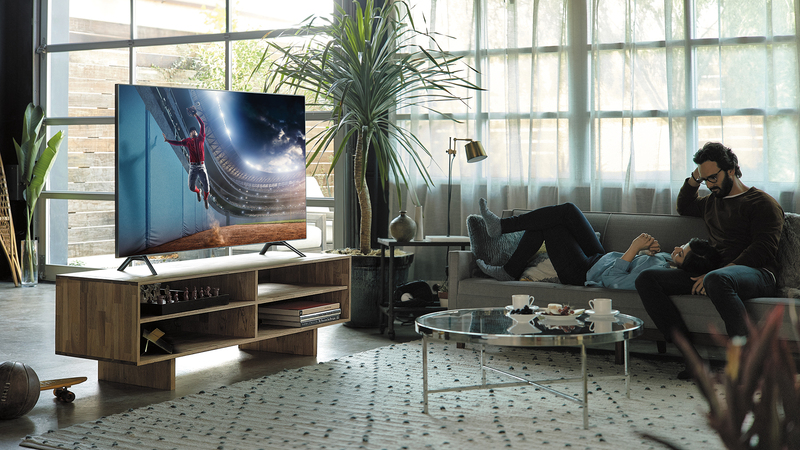 If you&apos;re looking for a buying guide that deals with TVs that only support the new Ultra HD resolution, check out our page on the best 4K TVs. 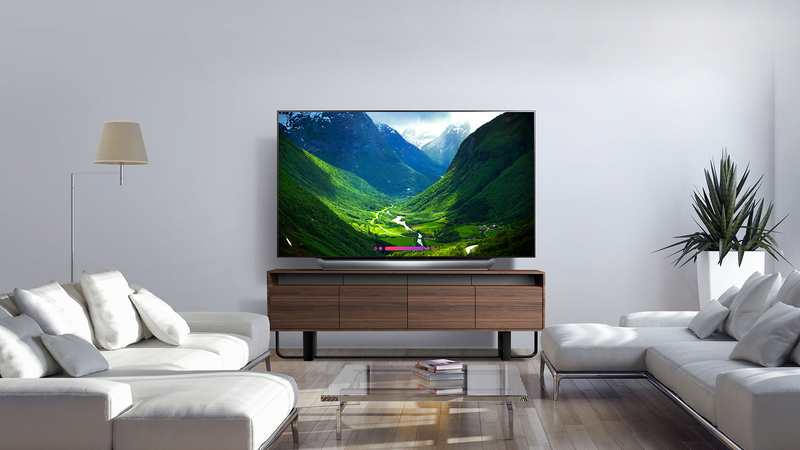 Or if getting a flatscreen on the cheap is your main concern, check out the best 4K TV deals. This is a question we&apos;re asked a lot. Like most technology, TVs are getting incrementally better all the time – which means, yes, if you wait a year there will probably be a bigger, flashier TV out there for less money. The majority of TV manufacturers now support these next generation of features, but you&apos;ll have to check the small print in a few cases. So long as your next TV purchase supports these technologies (looking for an Ultra HD Premium certification is a good way to go), we reckon you won&apos;t be kicking yourself in six months&apos; time when the next batch of sets arrive. 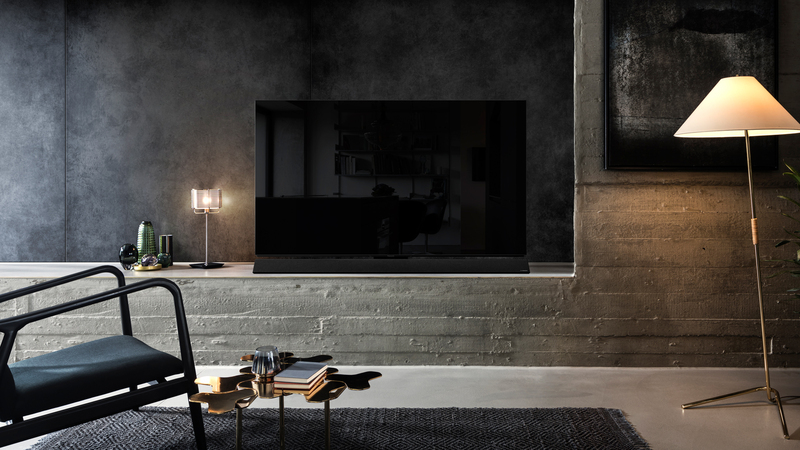 At the top of our list for 2019 is the LG C8 OLED – available in both 55 and 65-inch iterations. 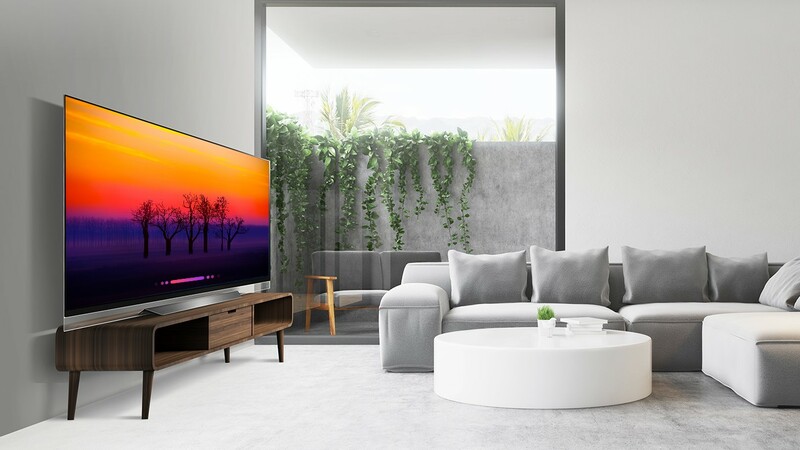 It&apos;s here because it combines an impressive picture, an extensive set of features, an attractive design and its unrivaled smart platform, to deliver one of the best TVs we have seen to date. It’s not as bright as an LCD TV but those deep blacks make a huge difference to the dynamic range of the image. It’s also capable of vibrant and gorgeous colours, not to mention an astounding level of detail with native 4K content. 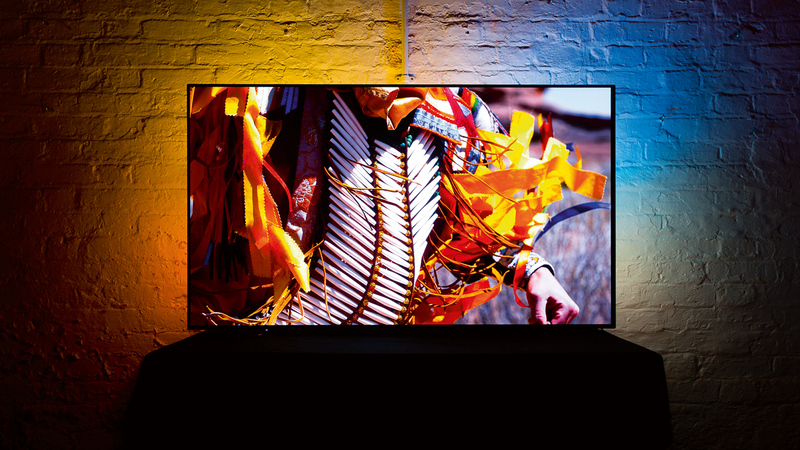 There are other OLEDs worth considering this year (see: Sony&apos;s A1 and AF8 OLED or LG&apos;s own E8 and W8 OLED models) but we think the OLED C7 offers the best price-to-performance ratio of any TV under the sun in the year 2019. The 8K television we&apos;ve been waiting for? With only so much 4K content out there, you&apos;d be forgiven for thinking Samsung may have jumped the gun slightly on this one. But this is still the world&apos;s first true 8K TV, and while it&apos;s easy to be critical about the Samsung Q900R, it truly does usher in a new era of TV picture quality. OK, so if you can&apos;t afford Sony&apos;s new A1 OLED or the fantastic-but-pricey ZD9, check out the all-new XF90 series from Sony. With superb 4K image clarity, powerful SDR-to-HDR remastering, and a smooth direct LED backlight, Sony is offering something very different with the XF90. We loved the consistency of its images, motion being handled superbly for football fans, the eye-popping vibrancy of its wide colour gamut panel and its easy-to-watch HDR – you get spectral highlights without accompanying eye fatigue. 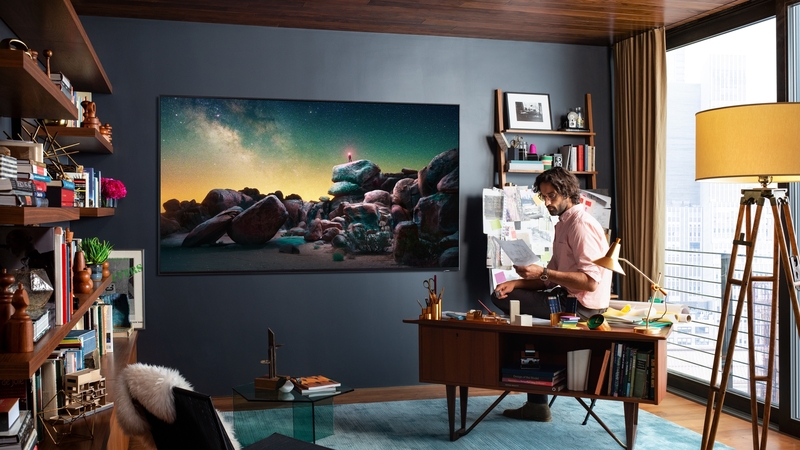 With its second generation of OLED TVs, and a new P5 Perfect Processing Engine, Philips has managed to even further enhance the vivid picture and color contrast that last year&apos;s Philips 9002 OLED was capable of. 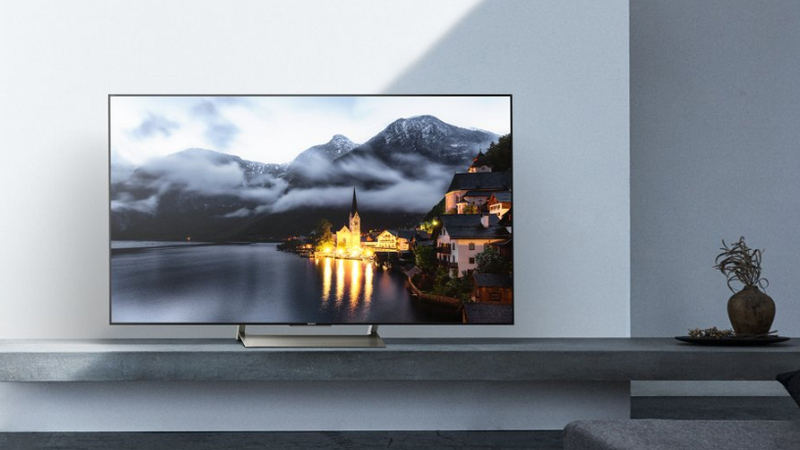 The Philips 803 is a truly capable 4K television, and all the better a deal for being the cheaper sibling to Philips&apos; flagship 903 model – so you&apos;re not getting Bowers & Wilkins speakers, but the reduced price brings the 803 much more in reach. This is one of the most promising OLEDs you&apos;ll find on the market today, while Philips&apos; Hue-compatible Ambilight room lighting system is gorgeous for at-home watching. The software doesn&apos;t always match the promise of the panel, such as poor catch-up TV provision, a mere two full-spec UHD HDMI inputs and the lack of Dolby Vision. But these are minor concerns in the face of a dazzling OLED picture. So why isn&apos;t it higher on our list? If you watch the TV from an angle, colour saturations reduce, and backlight blooming becomes much more noticeable. Second, Samsung’s Auto motion processing system is a bit over aggressive, causing too many distracting side effects for comfort. Happily the image isn’t too juddery if you prefer – as we did – to generally leave the motion processing off. With these TVs, LEDs of the backlight are mounted along the edges of the panel. 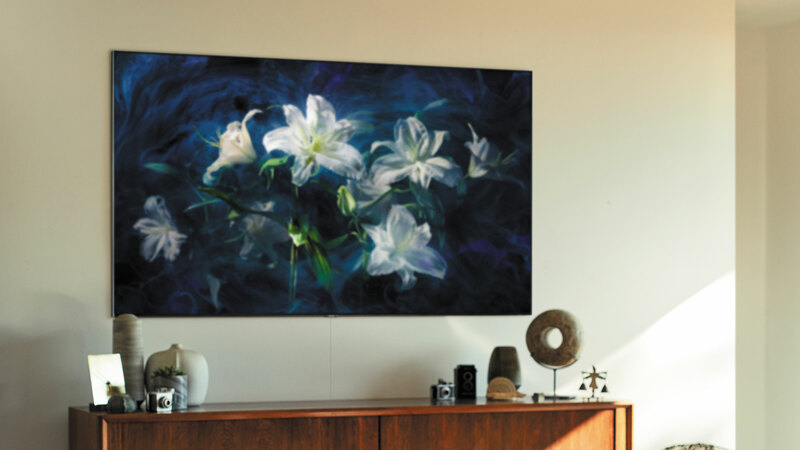 This arrangement enables radically slender displays and offers superior contrast levels to CCFL, but can’t achieve the same picture quality as directly lit LED sets. However, they do come in far cheaper which is why most LED TVs out there now use this technology. The backlighting on OLED (organic light emitting diode) sets is achieved by passing an electric current through an emissive, electroluminescent film. This technique produces far better colours and higher contrast and also enables screens to be extremely thin and flexible. This is the holy grail display technology and only in 2014 did a bigscreen OLED TV go on sale. So it’s new, it’s expensive and the top brands are still struggling to get their heads around it. To date, only LG has been able to release full sized OLED TVs. 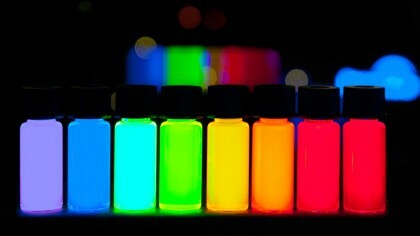 As yet we’re not quite at the stage where we’re going to get self-emitting quantum dot LEDs, but they’re a-coming. What we do have though is Samsung producing its Nanocrystal filter based on quantum dot technology to produce a seriously improved colour palette and contrast levels that get mighty close to the pinnacle of OLED. PDP (plasma display panel) TVs use glass panels containing millions of tiny cells filled with a mixture of inert gases. Electricity excites the gases, causing them to illuminate the pixels across the screen. Plasma, while arguably superior to LCD in terms of contrast and colour accuracy, is only viable on large (42in+) screens and has been dropped by all but a handful of manufacturers. You’ll be lucky to find one on the shelves these days. Some manufacturers are now making TVs that have slightly curved screens. But unlike old CRT TVs, the curve is inwards rather than outwards. The idea is that this makes every pixel equidistant from your eyes, delivering a more satisfying picture. However, there are drawbacks for this type of screen – the main one being that if you sit far enough to one side – more than 40 degrees or so – the curve clearly starts to affect the image’s geometry, foreshortening content near to you and compressing the image’s centre. HD TVs come in two resolutions. Sets with the HD ready are required to be able to display a minimum 720p picture, and generally has a screen resolution of 1366 x 768 pixels. Meanwhile, Full HD TVs have a higher resolution of 1920 x 1080 pixels. It’s highly advisable that you don’t go for anything less than full HD in this day and age. 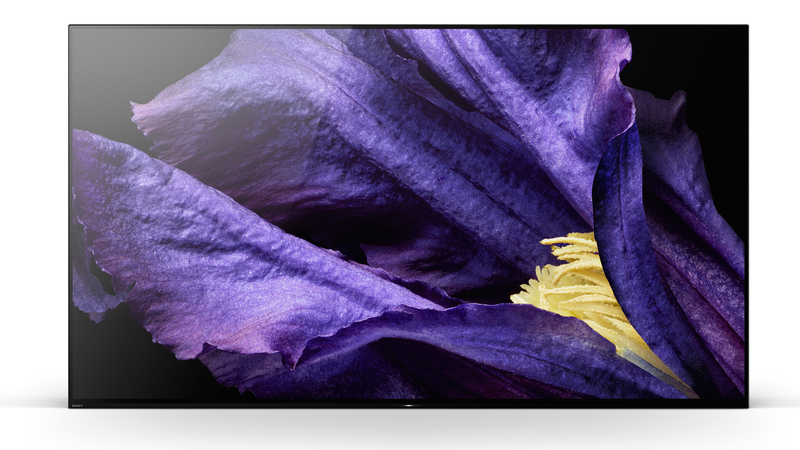 The resolution of Ultra HD is exactly four times higher than full HD – 3840 x 2160. It means a far more detailed picture, with content requiring a lot more bandwidth and storage space. 4K TVs tend to be good at upscaling HD video to Ultra HD but there are currently very few options for watching native 4K content. Read more about 4K. Potentially the next big thing in TVs, HDR produces astounding levels of visual fidelity and can be found in some of the latest Ultra HD TVs. Arguably the shift to HDR video could make a more dramatic difference to your viewing experience than moving from HD to 4K. Like still HDR images, the moving version expands the range of both the light and dark ends of spectrum, providing more detail for both. HDR needs new filming methods though – at the moment there is no way to backfill HDR into existing video. It also needs new TV tech too, with Samsung the only ones to create specific screens, though LG and Sony are going be able to update some of their existing stock to be compatible. Buying a flatscreen television is a major investment and one that you can’t afford to take lightly. Just popping into the closest store and grabbing the first plasma or LCD you see won’t get you the best deal, the screen that suits your needs, or the gear you require to make the most of your new purchase. People tend to pick the size of their flat TV based on the amount of space they have for it, this isn’t necessarily wise. Flat TVs take up much less space than you might think, so your new TV may end up a foot or two further away from your viewing position, making the picture appear smaller. Also, with hi-def, you can have a bigger screen and the same viewing distance without worrying about seeing blemishes inherent to the source. 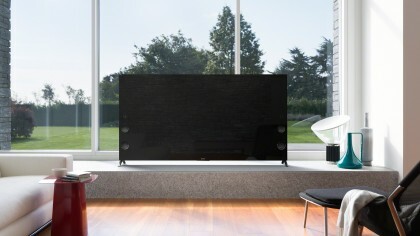 HDTV’s lack of noise means that the ideal distance to sit from the screen is three to four times the height of the TV. 4K TVs are stunning and even though there is currently little native 4K content to enjoy, the good ones are able to upscale HD to 4K very well. That being said, unless you’re buying a very large TV – we’re talking 65-inches plus – full HD should be adequate. This is dictated by the dimensions of the room where the TV is going and the amount of cash you’re prepared to spend. 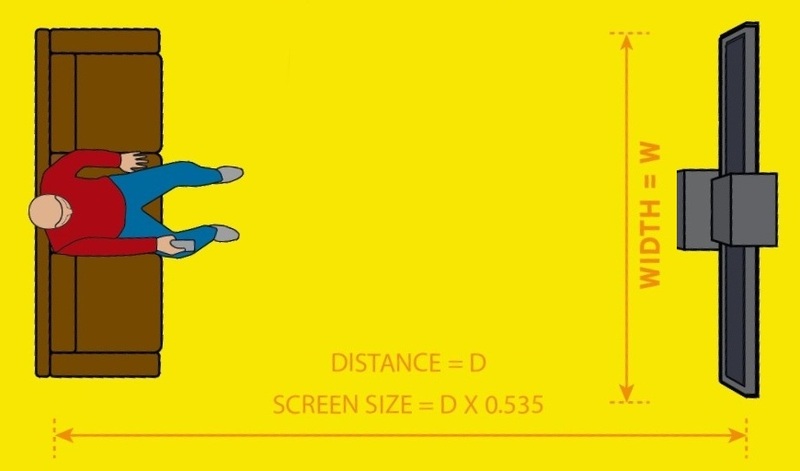 As a general rule of thumb, work out how far from the set you’ll be sitting (in inches), multiply that distance by 0.535 and then round up the result to the nearest screen size. Bear in mind that a decent smaller telly is often a more sensible investment than a larger, less accomplished one. And if you’re going to buy a 4K TV, you can sit much closer because of the higher resolution.